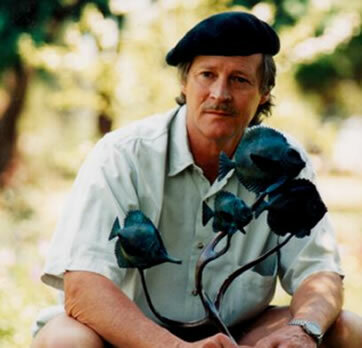 Frank Miles was born in 1946 in Zimbabwe and spent his early life as a child of the bushveld. 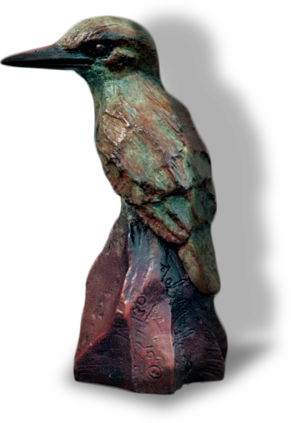 A lifelong intimacy with nature is captured in all his wildlife sculptures and it is that which gives them such a presence in private, public and corporate collections worldwide. After graduating with a B.Sc(Hons), majoring in Botany and Zoology, Frank travelled extensively in Africa, Europe and America. Upon his return to Africa and the bushveld he so loved, his artistic talents matured into the creation of superb bronze sculptures of African wildlife and people. 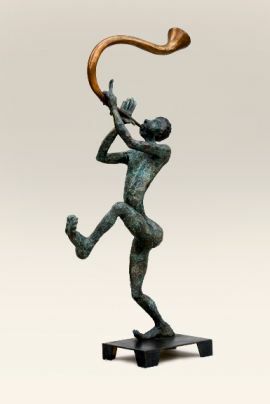 Frank made a wide study of various methods of bronze casting and finally formulated the unique process which, combined with his inspired talent, distinguishes his work. 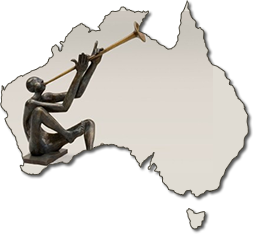 From 1980 to 2000 Frank managed his own company creating a non-ferrous Artistic Foundry for the productions and completion of bronze sculptures. His works are produced in limited bronze editions, after which the moulds are completely destroyed. Certificates of Authentication are available for each piece. Frank and his family immigrated to Australia and became Australian citizens in January 2004. His move to Australia has resulted in a change of direction with wonderful perceptions of the human form in a social context. His work is now cast by artistic foundries in Brisbane and Auckland, New Zealand, but each piece is finished by Frank personally in his own distinctive style and patination.